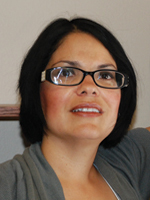 Ivannia Soto is Associate Professor of Education at Whittier College, where she specializes in second language acquisition, systemic reform for English language learners (ELLs), and urban education. She has presented on literacy and language topics at various conferences and has provided technical assistance for systemic reform for ELLs and Title III. Systemically Meeting the Needs of ELLs: This workshop allows participants to create awareness around having and holding high expectations for English Language Learners (ELLs) via district committees and the development of master plans for ELLs. Participants will learn how to create additional academic oral language development opportunities in classrooms via think pair-share, Frayer model, and modeling meta-cognitive conversations. Teachers will also understand how to set up productive group work in classrooms that creates inclusivity, engagement, and community.